The renowned design of the Stradivarius Series is combined with the #43 taper bell that has a slower taper to project a brighter tone that is more resiliant and open than the classic #37 taper. The 180S43 also features a #25 standard leadpipe that offers some resistance that is effective in centering tone production. 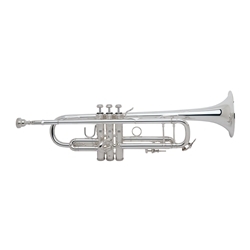 These two features combine to produce a trumpet that is well suited for jazz.